Rough sleeping has soared to record levels, with nearly 5,000 people — including a large number of veterans — estimated sleeping rough last year in England, while local authorities rolled out the red carpet for refugees. Local authorities recorded 4,751 people bedded down outside in a single night in autumn, marking a 15 per cent increase on the figure for 2016, according to the latest government figures. The rise to autumn 2017 is the seventh consecutive increase in rough sleeping, with the number of people affected having more than doubled since comparative records began in 2010. With 217 people sleeping rough, Westminster was the worst affected by the phenomena, while in second place with 178 rough sleepers recorded was Brighton and Hove, which styles itself a “city of sanctuary” for illegal immigrants and asylum seekers. Local newspaper the Argus reported in December that 17 of what it termed “Brighton’s homeless community”, with an average age of 46, died last year in circumstances described as “avoidable” by leading doctor Tim Worthley, who provides aid to rough sleepers. BRIGHTON and Hove has become the sanctuary for 65 young refugees making the authority one of the most kind-hearted in the country. Each of the more than 4,500 lone “child refugees” in Britain costs taxpayers almost £70,000 per year until they reach the age of 25, it emerged earlier this year. Reporting on the shocking new figures 0n rough sleeping published Thursday, the BBC noted that the phenomenon “is no longer confined to London and the big cities … and rough sleepers have been appearing in tents and shop doorways in towns where it seems unexpected and out of place”. While the latest figures, on top of a county-wide review published in January, show Lincolnshire is afflicted by a crisis of homelessness, activist groups in the area have been fundraising to fly in yet more Syrian newcomers to join refugees already recently resettled in the county. 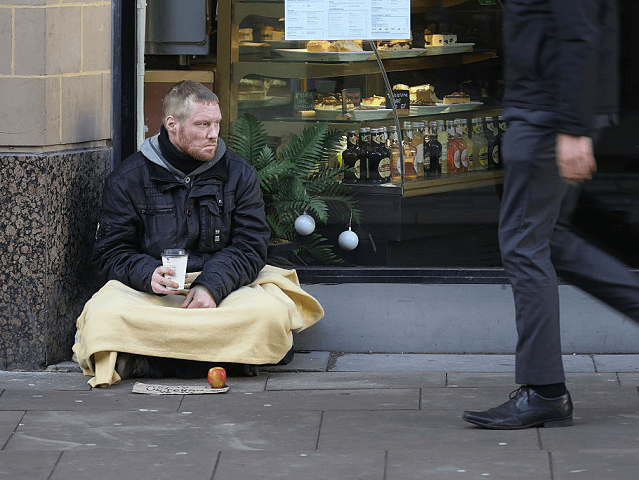 Looking into reasons behind the soaring number of rough sleepers in England, the BBC report pointed to zero-hour contracts and the explosion of private rent costs seen in recent years. A report published last month found that “unprecedented” net migration of 2.5 million people over the past decade was the major factor in causing Britain’s housing crisis, concluding young people are “paying the price” for this policy through ever-increasing rents.